Grey blinds are a fantastic way to give your home a stylish, modern appearance. The colour draws little attention to itself, and incorporating grey blinds for the windows in your home allows other features of the room to stand out. 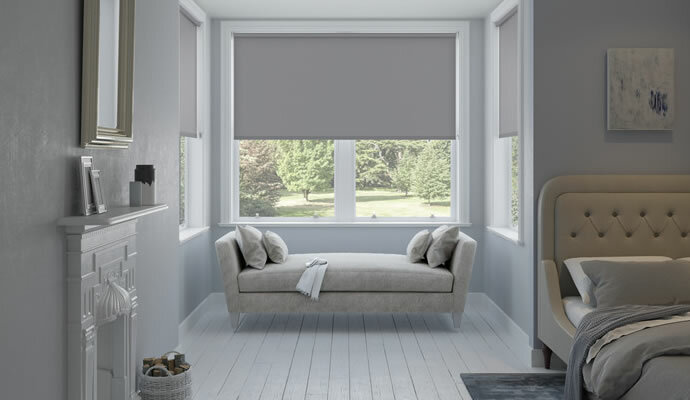 With minimalism the ‘in’ style of the moment, it’s no wonder the colour is becoming such a popular choice for blinds. 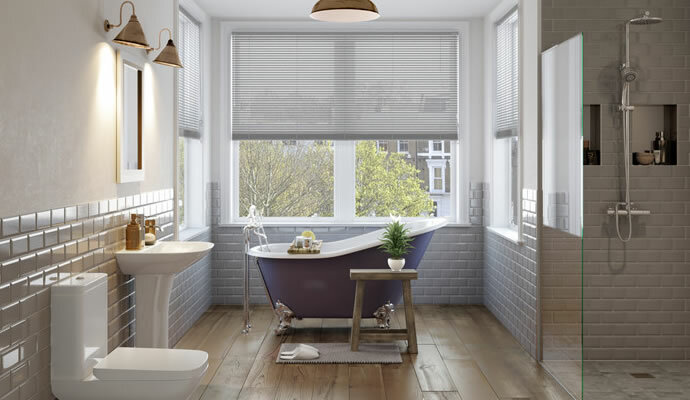 Whether it’s light grey blinds or dark grey blinds you’re after, we offer a quality collection in a range of styles. 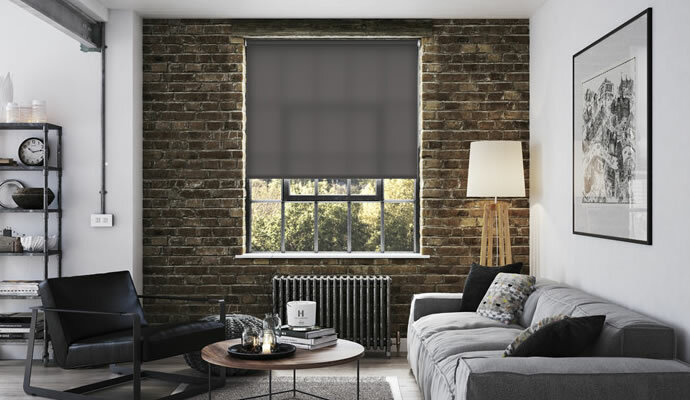 If it’s minimalism you’re after then a grey roller blind is an ideal choice for any room in your home. Our grey roller blinds come in a range of different textures and shades, ensuring they will satisfy any needs. A grey Roman blind in your living room or bedroom is a great way to bring a modern look without losing cosiness. And if you’re wanting to add a touch of luxury, check out our faux suede collection. Grey Venetian blinds are the epitome of modern interior design, bringing both a minimalist look as well as functionality to any home. Silver blinds would work particularly well in bedroom, giving them a chic, sophisticated look. 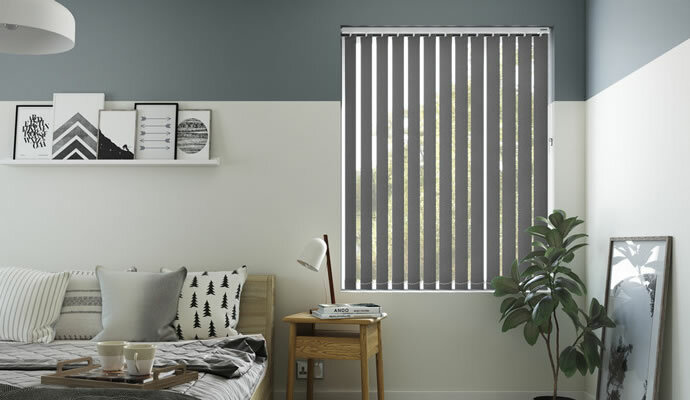 Grey vertical blinds are amongst the most practical blinds on the market. Not only does the colour fit with most schemes, but the blinds themselves allow you to control light and temperature. 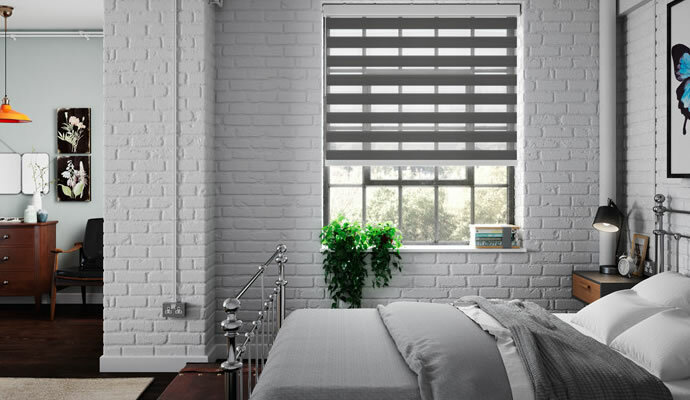 Grey blackout blinds are perfect for those looking to retain style in their bedroom while ensuring they get the best night’s sleep possible. Our collection comes in a range of shades, all of which prevent sunlight from entering your room. 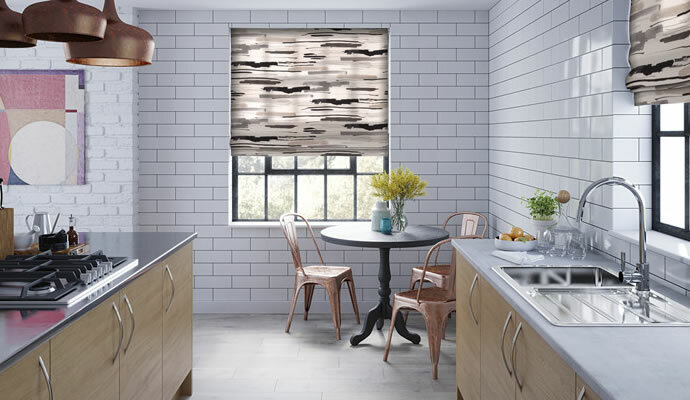 Few styles of blind will give your living room a chicer, more stylish look than grey day night blinds. Drawing these blinds is a sure fire way to intensify the mood at any get together. 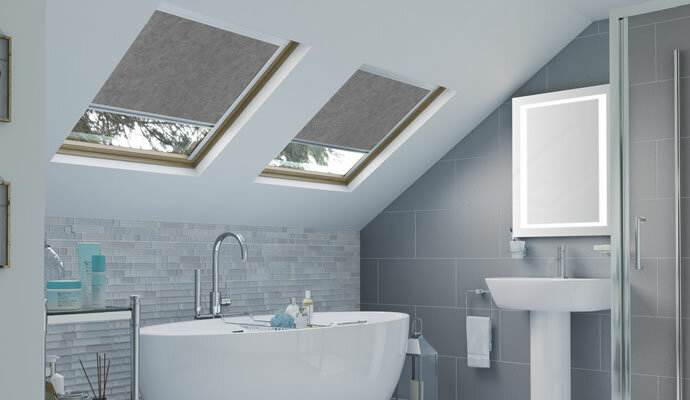 Get a peaceful night’s sleep even when the sun is shining with one of our grey skylight blinds. Grey is the perfect choice of colour for loft conversions due to its modern look.